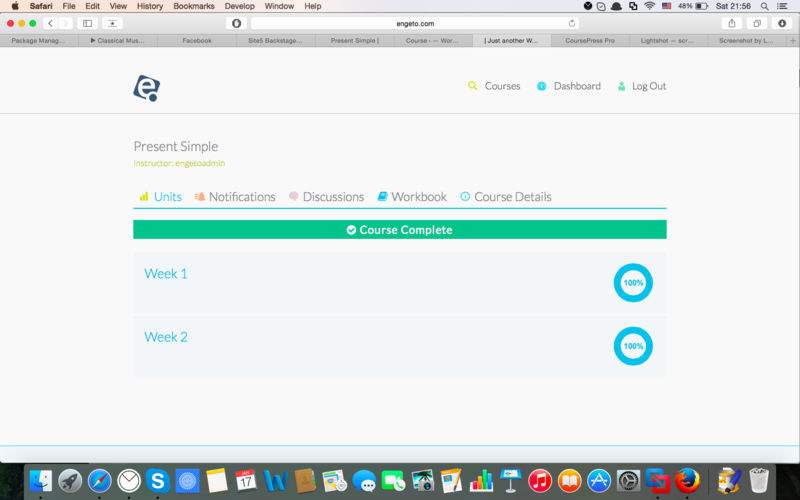 We would like to ask you if it is possible to modify course structure. 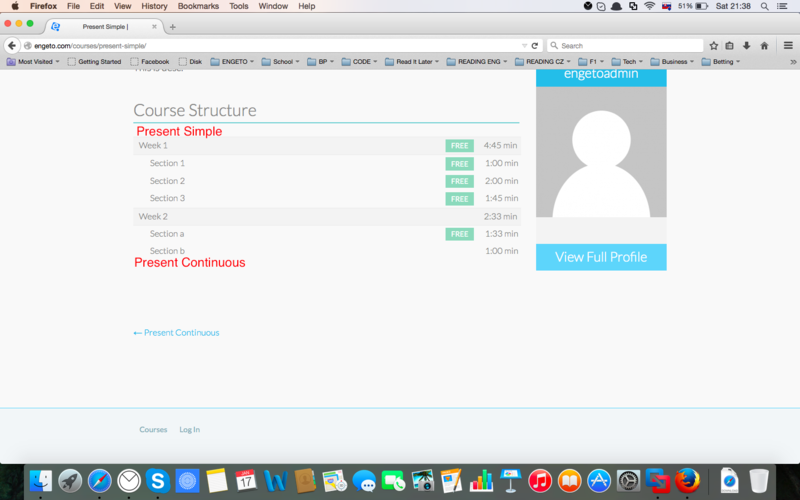 And now, we would like to add Present Continous, it is one big block, so it should be like "Present Simple", in your course structure it is the name of new course. But we would like it in one course. Hope it is understandable, please let me know if it is possible. 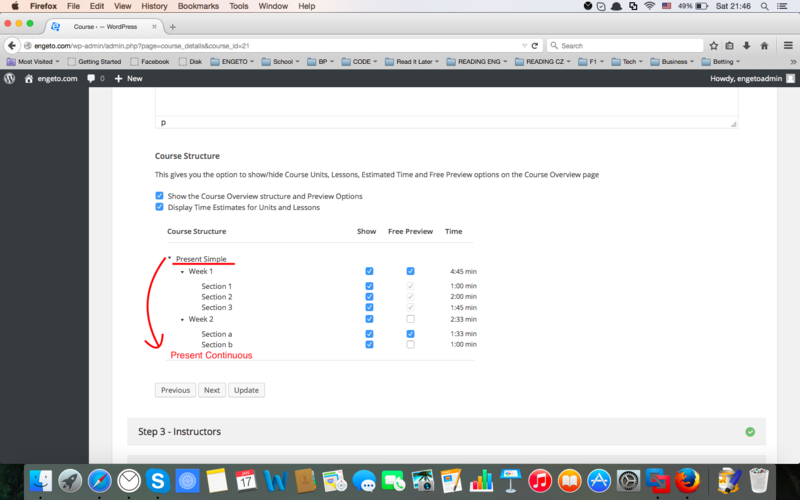 Currently, this isn't possible with CoursePress, and it would be a very complex customization to add these additional course module levels. I'm happy to flag this as a feature request, if the idea is popular with other members, we may consider it for a future update of Course Press. Thank you Michelle for your response. As you've seen, we've been super busy here, so responses are taking a little longer while we keep up with the demand. I believe I answered that question in the past 24 hours or so.